United Yacht Sales New Jersey would love to guide you through a personal showing of this 58' Ocean Alexander 58 Pilothouse Motoryacht 2009. 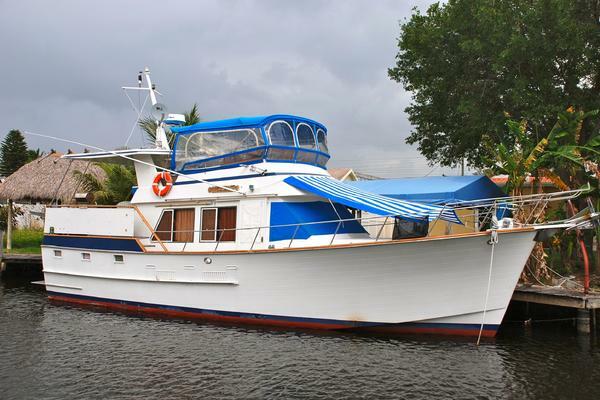 This yacht for sale is located in Hoonah, Alaska and priced at $995,000. For a showing please contact us by filling out the form on this page and we will get back to you shortly! This listing is presented to you courtesy of a member of the International Yacht Brokers Association and may be centrally listed with another broker. It is offered as a convenience by this broker/dealer to its clients and is not intended to convey direct representation of a particular vessel.The Company offers the details of this vessel in good faith but cannot guarantee or warrant the accuracy of this information nor warrant the condition of the vessel. A buyer should instruct his agents, or his surveyors, to investigate such details as the buyer desires validated. This vessel is offered subject to prior sale, price change, or withdrawal without notice.